wow chilli looks yummy any hot dish is my fav ones thanks for the receipe. Kay, while I enjoy spicy food, I generally stay away from extra hot chillies. I was hesitant about trying this pickle but the flavors had blended so well that the heat factor became secondary. 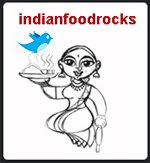 I'd love to get the recipe from you Manisha. What kind of spices did you add to these chillies? Indira, I know exactly what you mean! Currently, I am travelling and I am very happy to say that I didn't make the pickle nor take the pains to grow the chillies! I simply showed up for a reunion dinner and took pictures! My friend from Rajasthan tended to the chillies in that pickle through the long periods of drought we had in Illinois last summer. She pickled some, dried the rest and made heavenly red chilli powder. Very tempting Maneesha.Is this the normal normal green chilly which we get in local grocery stores?Waiting to get the recipe from u..
Annita, this was made from green chillies grown in my friend's backyard. Do you have space you can garden in? If not, chillies do well in containers, too. I don't have the recipe but I intend to get hold of it now that I am back home again. Kuber, welcome! The closest I could get to a recipe was an ad-hc list of ingredients. 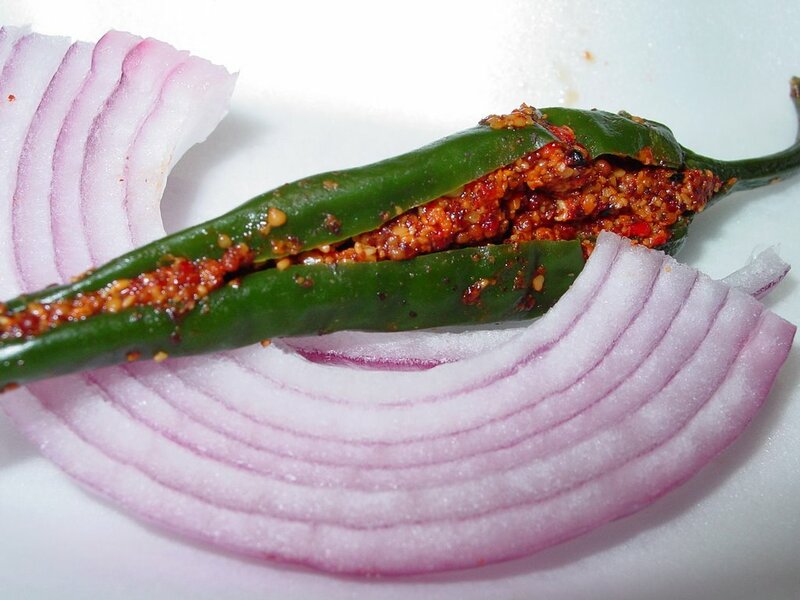 Try Anupama's green chilli pickle for proportions and method. HTH! Can any one suggest how to make lemon pickle without oil, lemon is sliced, with green chilli, garlic and some sugar. Hey! Try out my lime pickle - it has green chillies and ginger but no oil. You could substitute the limes with lemons but you will need to do a taste test to ensure that the salt+sugar combination is right. I haven't used garlic in mine - perhaps you could consider using ginger instead?